Find Littleton, CO Condos for sale. View Photos, Maps and MLS Data Now! Dancing Willows - Great option for single, couple, roommates or small family! MLS#9965839. HQ Homes. This is truly Colorado maintenance free living at it's best! MLS#9274779. Keller Williams Preferred Realty. Crossings At Chatfield - Showings start on Friday April 26. MLS#6903191. Keller Williams DTC. Terrace At Columbine - Furnace, AC, water heater, Andersen windows and sliding door all installed in 2015. MLS#6882520. Madison & Company Properties. There is also a nice covered deck with a small storage/utility closet. MLS#6990872. MB ANDY AHROON & CO..
Mountain Gate - Chatfield Reservoir is only 10 mins away. Great schools, easy 470 access. MLS#9461139. RE/MAX ALLIANCE. All measurements are to be verified by buyer and buyers agent MLS#6794953. HomeSmart Realty Group of Colorado. Village In Columbine Valley - This patio home in the highly sought after Columbine Villas is just that and more. 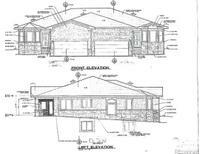 MLS#8995379. LUX. Denver LLC. Roxborough Park - 4 out of 8 brand new units are available for sale, reserve yours today! MLS#2349566. Your Castle Real Estate Inc.
Kipling Sun - Well maintained town house has been lovingly cared for. MLS#9702631. The Carlton Company. Deer Creek - You'll Also Enjoy a Short Drive to Chatfield Reservoir for Summer Fun on the Lake, Biking, Camping or Your Daily Dog Park Visits! MLS#3405457. HomeSmart Realty Group. Redstone Ridge - Light, bright and move in ready. Enjoy! MLS#4727031. Porchlight Real Estate Group. The Ridge At Stony Creek - Home comes with a 30-day buyback guarantee. Terms and conditions apply. MLS#1746416. Opendoor Brokerage LLC. Great community amenities including a dog park & playground. MLS#3918493. Redfin Corporation. Redstone Ridge - Move in condition; Interior freshly painted; Newer stainless kitchen appliances, sink and faucet; Newer wood flooring and carpet; Close to Chatfield Reservoir and walking/biking trails; Walk to shopping, restaurants, coffee shop; MLS#5607610. HomeSmart Cherry Creek. 3,102 finished sf of living space and no exterior maintenance! MLS#3574330. RE/MAX Professionals. Lovingly maintained, and ready for you to move right in, this home in Meadow Ranch is just steps from a large variety of shops and restaurants, and only minutes from C-470 makes for an easy commute. MLS#4314605. LIV Sotheby's International Realty. Enjoy the nearby parks, restaurants, & shops. MLS#1799248. Equity Colorado. Beautiful 2 bed, 2 bath Provence Condo*Open floor plan with large vaulted great room, formal dining area, updated kitchen with granite counters, tile backsplash, newer stainless appliances and breakfast bar*Master bedroom overlooking green space and city views*5pc master bathroom with updated flooring and walk in closet*2nd bedroom, also has city views*Bonus room perfect for your home office or even a guest area*Enjoy morning coffee and summer evenings on your private covered balcony*Plenty of storage in the attached two car tandem garage*All of this nestled in the sought after Grant Ranch neighborhood, with it's community pool, clubhouse, tennis courts, walking trails, parks and private lake access*Great location just minutes from all kinds of shopping, restaurants, movie theater, easy access to mountains or take the light rail into downtown Denver! MLS#9246141. RE/MAX Synergy. Chateaux - Prime location; centrally located and close to Downtown, Highway Access, restaurants, lightrails, and much more. MLS#2338260. Denver Realty Group. This home is ready for you to move in! MLS#3649368. Colorado Realty Pros. Marston Villas - Light & bright condo with large sunny windows *Quiet private location at back of complex away from busy streets *Central Air Conditioning *4 year old water heater *Fresh, new interior paint throughout *New window blinds *New roof *Freshly cleaned carpet *6-panel doors *Tile floor in kitchen and dining area *All appliances included *Vaulted living room has wood floor, tiled gas fireplace with mantel, built-in entertainment center & opens onto covered balcony with storage closet *Large master bedroom has walk-in closet & private master bath with new oval soaking tub and double sinks *Nice size 2nd bedroom also has walk-in closet and direct access to full bathroom with new tub *Built-in desk/work station & laundry in hallway with washer & dryer included *Convenient location with easy access to shopping, RTD & recreation MLS#6801779. RE/MAX Professionals. Great location, close to shopping, walking and park. MLS#8673309. Keller Williams DTC. Miralago At Marston Lake - Wonderful Community pool and center! Close to shopping and dining. MLS#9999382. Keller Williams Advantage Realty LLC. Marina Pointe - Easy Access To 470 & Light Rail 3 Miles Away. Welcome Home! MLS#8285706. 360 Real Estate Inc.